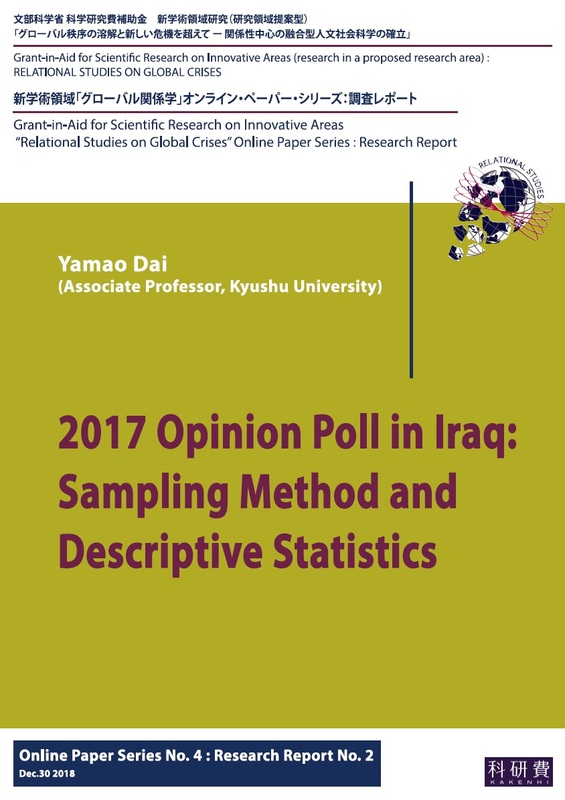 Dai YAMAO’s new paper “2017 Opinion Poll in Iraq: Sampling Method and Descriptive Statistics” (Grant-in-Aid for Scientific Research on Innovative Areas “Relational Studies on Global Crises” Online Paper Series No.4: Research Report No. 2) has been published in the website Grant-in-Aid for Scientific Research on Innovative Areas “Relational Studies on Global Crises” on December 30, 2018. This entry was posted in Iraq by namaken. Bookmark the permalink.